Are you a Gleek?! I sure am!!! I have always loved musical theater, so I don't know how I did not jump on the Glee bandwagon from day one. Oh wait, I know why. Probably because the hubs said no way in heck he was going to watch it. But after hearing so many raves about the show, we watched it one night and we were both hooked. Ok, hooked might not be the word he would use, but he really does enjoy it...THANK goodness. I was so excited about the new season starting this week! I was unable to watch the season premiere until tonight and of course, I loved it. I headed right to itunes and downloaded my favorite songs of the episode. Do you know what the good thing was about not watching the episode until tonight?? I only have to wait a few more days until the Britney Spears episode airs!!! I am beyond excited about that one. Yes, I was a Britney fan back in the day (and admit it, you were too!). My best friend and I went to her concert on my 18th birthday, had front row seats and she held a sign saying it was my birthday. Shameful. But hey, Britney noticed and waved, so that was fun. Even though I adore Glee, I have to say a little something about Rachel's wardrobe on the show. It was awful last year! I was glad to see that it has improved. During the premiere episode, her outfits got a little bit cuter and more stylish UNTIL the last scene. At first they showed a head shot and the little blue and white polka dot number appeared stylish (I liked the deep-v back). I envisioned a tailored skirt paired with the shirt. BUT, then she headed to the auditorium and the camera showed a full body shot and it was a dress...and it was bad. Extremely dorky. To make matters worse, they had her wearing penny loafers with scrunched socks???!!! Was the wardrobe team trying to start a trend? Don't think this one is going to take. Just my opinion. Ok, so sorry to rant about that, but I just had to. 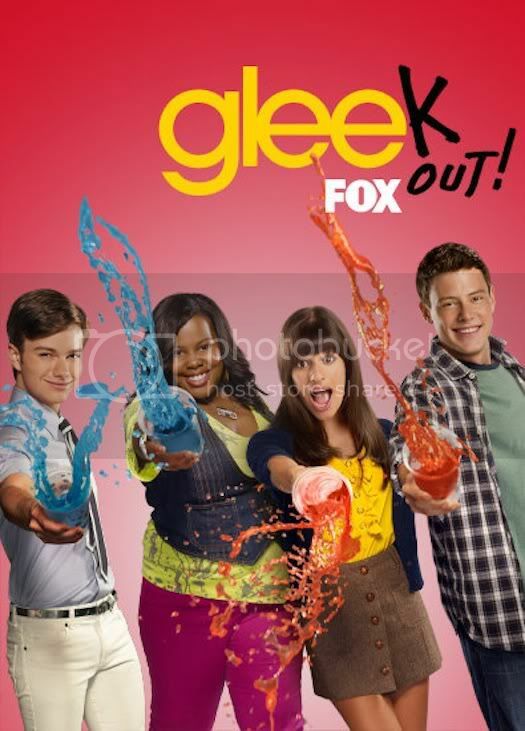 I am still a Gleek and love every minute of the show! 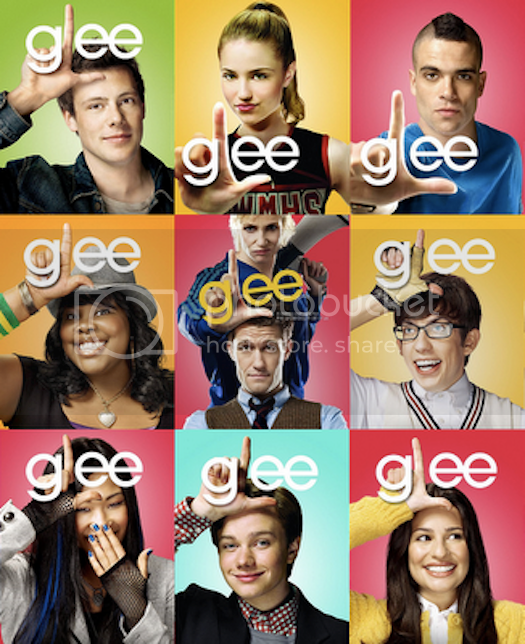 LOVE Glee. Never would have imagined my husband would like it, but he does. We're watching Episode 1 tonight. I'll be checking out the dress. I am a gleek and proud of it!